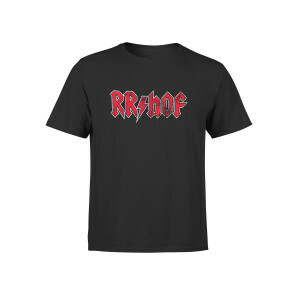 Co-branded, youth Champion t-shirt decorated with RRHOF in rock inspired lightning bolt font. Museum logo is printed on the back at the base of the neck. Youth sizes S (6-7), M (8-9), L (10-11), XL (12-14). 100% cotton jersey.